This spacious and modern 5 bedroom apartment is situated in the neighbourhood of Poble Sec, close to the beautiful Montjuïc. This charming neighbourhood has many great restaurants and bars that serve authentic Spanish cuisine and tapas. With two metro stops and several bus stops nearby you will have easy access to any part of the city and the suburbs. A total of 7 guests can stay here, as this fabulous, air-conditioned apartment has 5 bedrooms and 2 bathrooms, allowing plenty of space and privacy. 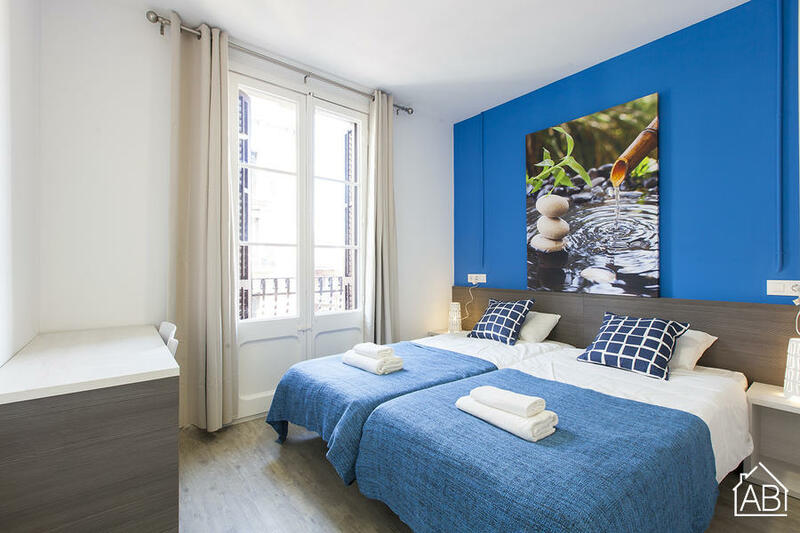 There are plenty of amenities in this fantastic apartment, such as a washing machine, dishwasher, WiFi and a TV, making this the perfect choice for your stay in Barcelona. There is also an elevator in the building.